I recently went to visit my good friend Mike Reed and hang out in his shop, Chop N Weld, for a night while he worked on some projects. I met Mike in the winter of 2012 after planning on chopping up my Sportster. I searched the internet for months trying to figure out what I wanted to do to my bike and I kept stumbling onto ChopCult threads started by Mike. I had some friends that had him do work on their bikes and they hooked me up with him. The first time I took my frame to Mike was to get him to hardtail my bike. 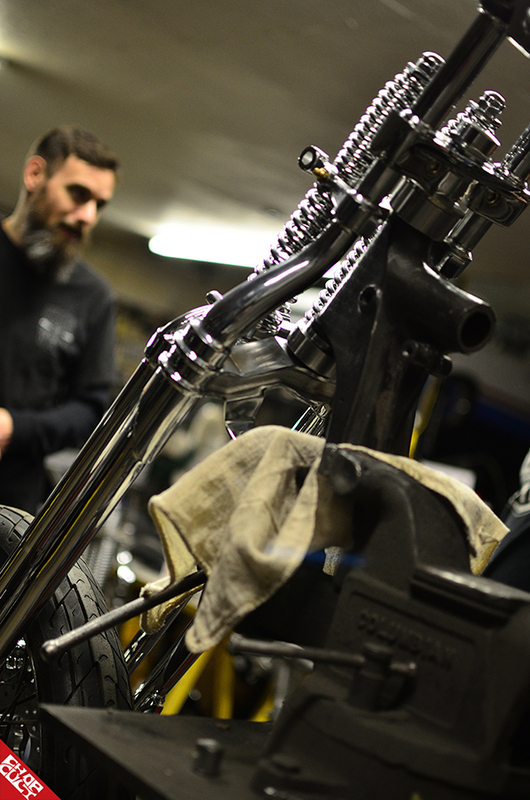 We hung out in the shop for hours talking about choppers and all the one-off parts he made. Mike shares a garage with his father, Mike Reed Sr., who has built hot rods, show cars, and drag cars all of Mike's life. It wasn't hard to see that he has followed in his father's footsteps, but with his own style. 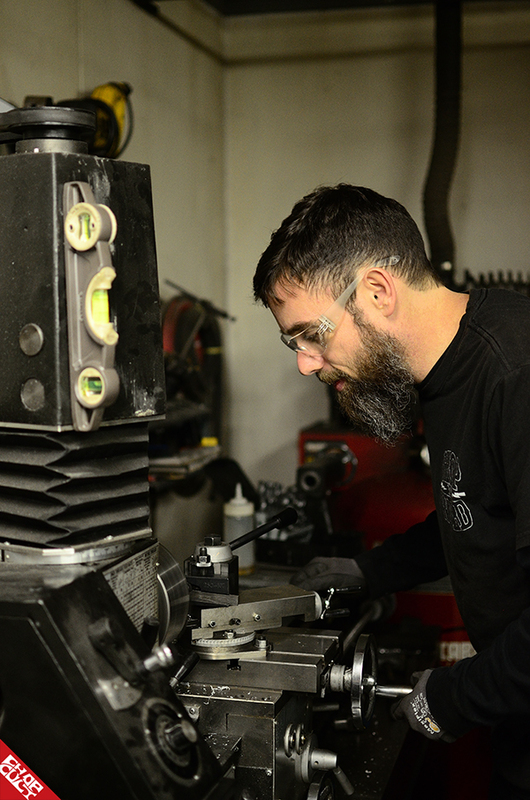 Mike started fabricating parts for motorcycles around 1998, and went to doing it full-time in 2007. We talked about when he started working on bikes that he would take almost any job that came into his shop, like oil changes and general maintenance on any bike. Around 2009, he got to the point that he didn't have to do the work that he didn't want to do. If it wasn't fabricating unique parts or chopping a bike up and making it one of a kind he didn't have to do it. He also stopped doing full builds. He wanted to focus on helping out the people that knew what and how they wanted their bikes to look when it was done, but didn't need or want someone to build the whole bike for them. He likes helping get people that have the will to do most of their own work over the hump that comes when you don't have all the knowledge or tools to do certain parts of the build. One of Mike's main passions is building one off springers from scratch. He was a suspension tech for a long time, building mini-trucks and suspensions from the ground up, so when he got into motorcycles, it was a given that he would want to build them for bikes, too. Everything that comes out of Mike's shop is top-notch, and is made to be ridden, and ridden hard. His springers are built that way also, all the hardware and everything not welded can be easily found or replaced. Functionality, quality and style is the name of the game with everything that Mike builds. He never lets anything leave his shop that is not up to his high standard. Check out his work on his Instagram page @chopnweld. Nice work Benny. Mike's springers are dope.